As regular readers will know, I don’t allow abusive comments or personal rants on the site. Primarily, this is because such nonsense contributes nothing productive, and I am under no obligation to provide angry or crazy people with a forum for their vitriol. Such comments lower the tone of debate and shift the focus away from salient issues and towards personalities, which dumbs down any discussion. Some mainstream science publications have actually blocked all comments on their sites because vacuous attacks come to dominate and crowd out any thoughtful discussion or debate. People are welcome to disagree with me, and I daily allow comments that do so. But as I try to be substantive and civil in my criticism of others, focusing on their ideas and claims, not their personalities, so I hold commenters here to a similarly adult standard of behavior. That said, I think it is instructive to periodically look at the sort of bile spewed at me by people who have no real evidence or intelligent argument to offer but just want to express their anger at my challenging some of their beliefs. These are the people who drive society away from science and reason, who make compromise and cooperation so difficult in politics that we end up with a dysfunctional government, and who threaten the functioning of a society in which civil disagreement is possible and productive. These folks also illustrate how distant many of the alternative ideologies they espouse are from science and how much more like fundamentalist religion they really are. And, finally, sometimes they are simply funny. Enjoy! Homeopathy has healed my dog AND myself. Take your Big Pharma and shove it. Go take your drugs and destroy your kidneys and liver. And kill all our animals that way as you promote drugs and surgery and toxic immunization a. You are a total moron. Skepvet, you are an absolute fool. The fact that you would happily prescribe…makes you a complete moron…An education beyond University of Phoenix should be your next life goal. How much are Hills, Purina and the pharmaceutical companies like Merck slipping you on the side? Clearly, you are attempting to manipulate an uneducated, easily led, public with your claptrap disguised as science. Your site tag says, “A Vet Takes a Science-Based Look at Veterinary Medicine”. It should more accurately say, “A Vet Takes a Pharmaceutically Skewed Prospective of Veterinary Medicine.” That would be more accurate. You’re sole reason to exist is to try to hold back the tide that threatens your alternative medicine buddies in big pharma. And for every “expert” that has “scientific” proof that ACTION A is best, there will always be another “expert” that has “scientific” proof that ACTION B is best. Look closely at who pays which “expert” for the proof and you’ll have the answer as to why which ACTION is best. It’s all about the bottom line, folks. Now that the pet industry is a multi-billion dollar a year industry, unfortunately it appears the vets and “pet-care” companies are using our pets in the same way the human medical establishment has done…cause confusion and watch the big bucks roll in! You are a skeptic because it could put you out of business. The FDA is a sub contractor for Monsanto. Come to think, so is this website! Huh, sounds a lot like what you say you aren’t – a pet food company lackey. The strong reason in favor of healthy, appropriate, homemade diets is the health of our pets…the strong reason against is two-fold – money and sickness – both of which I am sure you have no problems with. Sick animals are good for business. What a HORRID article! If everyone in this world was healthy and living without chronic disease, then how would the pharmaceutical companies make money? Who is paying you to write all this crap? The AMA? Jeez. Another example of Government out of control serving Big Pharma both in an alliance and both disserving the unknowing blinded public while they RAKE IN $BILLIONS IN PROFITS. It’s the Government and its Agencies like the FDA THAT CANNOT BE TRUSTED! Do we need any more evidence for this? No, it is clear. SkeptVet clearly takes THEIR side. You are a typical vet who just wants to stand behind the prescriptions that pay for your lifestyle. To all you ignorant people bought off by Big Pharma . It is getting old by now you all not getting it. America is a fat, diseased very sick nation. The irony of thinking we are this Great nation when we are the international laughing stock. Europe has a seperate factory for making send out food to America because the Ingredients we allow are not allowed in their country due to most are toxic. Even the little cashier at World Market know’s this… If people were well and did not need prescription medicine their would be no money to be made in this billion dollar Big Pharma Industry. They want us sick! Another sellout medical doctor…Medical doctors and mainstream people are so arrogant. They think they know everything, when behind closed doors, the people who fund these foods and treatments are actively trying to harm them. Keep being oblivious, so people like me have to live in a perpetual hell, where I can’t even know what is in my food or water. Because of people like you, they have total control… as long as you keep supporting the corporations aspirations, nothing will EVER change. Maybe you should go through your records and see how many of those dogs you vaccinate develop an illness within 12 weeks of the vaccine. I think you’d find it more eduational than blindly working for the pharmaceutical industry who are constantly being sued for lying about test results on their products. Why would they lie if their products have been properly tested and proved to be safe? I don’t suppose it’s occurred to you that they’re not in the business of healing. They’re in the business of making as much money as they can… Most vets who switch to a holistic practice earn far less money than you do, so what possible reason could they have for changing? Has it occurred to you that they have actually bothered to pay attention and have realised that they are hurting our animals with unnecessary medications? That their consciences have stepped in and prevented them from continuing to cause chronic disease in our pets? Obviously not. Our animals need healers working with us owners, not drug sales people. Who’s paying you!!?? Talk about biased. I’d like to know the serious side effect of taking cats claw… I always read opposing info when researching but this is so slanted its crazy. So I figure you are either a vet or you are paid/paid off by them. Let’s all feed science diet, shall we!… Seriously, who pays you!!?? If you don’t get a payment from the drug company, it’s not worth recommending. Big devious lie of an article!!! Probably working for the misinformation industries!!!!!! Typical hate spewing from the medical field, these studies are only argued against because it affects the medical industries bottom line and making them lose money (and to keep their monopoly of the healthcare market). The drug industry ARE the quacks. Its a protection racket. This skepvet is a living testament to that. Ignore them and do what works not what their rigged trials tell you should work. Another sellout medical doctor…. These people probably promote heavy metal-laden vaccines; liver destroying drugs and toxic foods that contain genetically modified organisms. Go ahead, be ignorant and take the medical industries junk. They will be happy to benefit off of your illnesses. Big pharma and agribusiness work hand-in-hand… Medical doctors and mainstream people are so arrogant. They think they know everything, when behind closed doors, the people who fund these foods and treatments are actively trying to harm them. Why do you attack natural products? The conspiracy is for all the chemicals with the phony white papers. I have seen many a healthy person and or pet die from chemical meds and would have survived had they been given a real natural product that actually works. I understand your need to feel as if you are flying the EBVMA flag in your posts and blog in general. To be quite honest, it comes across as if you were not able to obtain a real medical position so you chose to rant on “evidence based veterinarian medicine.”… .” If you don’t understand the origin from which we were created you might not see the total picture doc. God actually gave our bodies their own defense mechanism from many diseases, enhanced by utilizing another thing God created that assist this healing process, there called nutrients. Maybe if you spent more time actually observing the animals and building your practice instead of blogging this nonsense you could find the success and attention you so obviously crave. This blog is such non-sense and sounds like it has been written by an angry veterinarian with an unsuccessful practice. You sir, are a disgrace to your profession. Your ego and agenda have overcome your common sense. Taking pot shots at Nutriscan and scoffing at people who have found flea meds to be dangerous to their pets might make you feel superior but from here you look like an a__. This treatment is now being used by vets who are not arrogant and close-minded such as you are, with much success. You know–you aren’t always right just because you got a degree in Veterinary Science. There’s a lot that isn’t thoroughly taught in either vet or (human) medical school. I’ve noticed that the medical professionals who know the least are the ones who are the most arrogant! I’m a pet parent, not a vet, and whoever wrote this article seems very upset and angry… Do everyone a favor and get over yourself. Oh wow. I would not even begin to know how to respond to that. I just don’t have time to argue with people like that. I usually just tell them that there is no scientific evidence for the “treatment” that they are administrating to their furbabies and that they are welcome to come back to me for help if the “treatment” does not work. Obviously I do get a little bit more aggressive when it comes to more serious conditions or an animal is clearly in a lot of pain. I’ve had another /much older/ vet tell me that he doesn’t think morphine is effective at all and he doesn’t believe in a multi-modal approach to severe pain. Sigh. Just wanted to let you know that there are likely lots of non-vet pet parents like me who are not frightened by science and medicine and who appreciate the research you do to help us make decisions, but we don’t generally comment or email our appreciation to you, so you probably seem to hear from a lot more dissatisfied folks. Sad however, the number of people who truly believe humanity has not seen the benefits of modern medicine, brought to them by real science. All that living longer, eradicating diseases that the current generation never saw…. Here is a rule of thumb I’ve formulated over the years, if the word “Monsanto” is mentioned in a conversation just leave the conversation. its obvious it has gone to hell in a hand-basket. While I don’t think some of there decisions are well minded (A nice way of saying that sometimes they act like a certain part of the anatomy) – Most people think there some kind of deity when in reality they are not! Those of us providing guidance on health take upon ourselves a sacred responsibility. We must try our best or live with the untold consequences. Truth does not keep truth concealed. Please do your best. I’m certain that if water had a memory, It would probably last only a few picoseconds. Therefor invalidating all claims of the above. I’m no physicist by any means – but that’s just what I feel. Also it should be noted that there should be a clear distinction between nano and picrogram doses of a drug and homeopathy. The latter may produce the former, but the latter has no sound reasoning behind doing so. That had me howling with laughter, thank you for sharing it! We are so deprived over here we have just the one factory exporting to the US for all 28 countries in the European Union, let alone the countries that aren’t in the EU. I share your posts on a variety of topics, but perhaps most of all on various neutraceuticals, because they are concise and clear. If people want the facts you provide them. I’d like to second what Carla above said. Some of us lay people actually do trust science more than vitamin-sellers and find the information on your blog very interesting and helpful. Oh wait, I own some shares in a couple of pharmaceutical companies and once upon a time dated a mathematician working for a large pharma company whose job was to evaluate data from clinical studies. I suppose, this must make my objectivity suspect. Last time I heard this word was from some conspiracy theorist on you tube who sent me private messages. Wish I’d known this rule, would’ve saved me time and aggravation. i also appreciate the time and effort you spend evaluating the science. your critical thinking is invaluable. thank you. as for the topic . . I also appreciate your reading your thoughts on the ‘topic du jour’ – and I read with my own skepticism. I am a scientist as well. And I know that science is a methodical means to attempt to explain something we do not understand. That does not mean the phenomenon is not there/real/true; it may simply mean we do not yet have the knowledge to test and understand it. It also does not mean that scientists are always right We get things wrong all the time – despite “studies” showing we’re right! Keep an open mind in all things – and keep writing . . . – we are reading! Thanks, lorac, for the support! Thank you for your blog! I practice veterinary medicine in the Northeast (USA) and feel like an outcast sometimes for not buying into a lot of complementary medicine. When people ask me about food brands that I recommend, I just tell them that most of the major food companies make good quality food and the biggest problems I see are over-feeding and too little exercise. Heck, when I went to school in a poorer, rural part of America, many of the clients we saw were feeding Ol’ Roy or Costco dog food and the overwhelming majority of those dogs were doing very well! Of course, so many of those dogs are highly active, hunting dogs that I wasn’t worried about their level of exercise. I greatly appreciate both the articles you write for this website as well as your responses to me personally when I’ve had questions and concerns. You have always presented evidence to justify your claims and expressed yourself in a thoughtful and logical manner. I’m very sorry that some people who disagree with you, instead of giving their reasons, simply hurl insults; it made me very sad to read those awful comments. Please don’t let this discourage you; your writings are very helpful to those of us who want to make science-based decisions about how to take care of our pets. It helps to be forewarned about the quackery infiltrating medical care. Thank you for this website; I hope you continue writing for many years. Thank you for tonight’s entertainment! The “Take your Big Pharma and shove it” had me rolling! ???? I think your AWESOME, Skeptvet! Keep on keepin’ on! Those 4 question marks above were suppose to be a smiley face! I’m posting to thank you for taking the time to write considered and thoughtful articles on issues that affect my two dogs. Thank you for the care and knowledge you demonstrate with every posting. The fanatics, the ignorant and – sometimes – the truly pathetic will always be with us. I should know, I did my MA and started a PhD in medieval literature when the postmodern folk were bullying all and sundry with notions about there being no such things as facts or objective reality. Suddenly babies diapers – I should have brought some of those to classes – looked far more interesting. I am grateful for the ongoing education I get from Skepvet, Science Based Medicine and so many other groups and writers. You all are heroes in the endless battle against the ridiculous. Please do continue to keep the ridiculous and abusive out of your comments. In this day and age it is perfectly reasonable and I cannot understand why so many sources do not properly moderate comments. I hate to see anti-science disinformation posted in comments on scientific information websites that are there to provide good information to help people make informed decisions, and I cannot understand why so many sites allow comments that make personal attacks on the authors of articles or compare their readerships to Nazis and Ku Klux Klan. Well, I appreciate your blog and recommend it to everyone I know. Thanks for providing us with this wonderful source of information. There is an old arabic saying ” A man who speaks the truth better have a swift horse”. keep on with your brave work. I’m very grateful to have you and other science based medicine bloggers, veterinary or otherwise, to consult on an array of subjects. Consider me another fan! I have a question for you: since many research papers are behind paywalls, I wonder if you could suggest one or more journals that are better than others in terms of bang-for-buck access to the widest range of studies. I’m a citizen scientist with a limited budget. Thanks for the comment. It depends on your interests and location. Here in the US, the most widely read vet journal for general practitioners is the journal of the AVMA, and it tends to have mostly clinically relevant articles. However, a bit ore advanced, and sometimes more research oriented rather than clinical, is the journal of the American College of Veterinary Internal Medicine, and that’s now open access. For emergency stuff the emergency critical care society journal (VECCS)( is a good one. And then, of course, there are lots of specialty journals depending on your interests. Here is a list of open access journals, so you might start there and see what you can get without a subscription. I’m in the U.S. Thanks for taking the time to reply. One reason I ask is because, after decades of having small & medium sized dogs, we will be getting a giant breed pup later in the year. So, I’ve been attempting to do some due diligence on some of the potential health problems of larger breeds (specifically Shiloh shepherds which are an offshoot of German Shepherds) that I’ve never had to deal with before. When I search for latest research on things like dietary needs of giant breed puppies, panosteitis, GVD, and so forth, I usually encounter paywalls. We’ve joined several breed specific groups online, but quickly found ourselves knee-deep in woo, so I now know that I can’t rely on those folks to do anything more than provide links to articles on unreliable websites. It’s all well and good but we need to make sure that we reserve a good portion of evidence based medicine’s energy for the practices used by us conventional veterinarians. Some things, like heartworm prevention have pretty darn good evidence and experience. Other things are more lacking. I think the best findings from EBM in human med have been identifying surgeries that do not separate from sham, etc. Carrying the mantle of fighting Woo is good, but of course it is also too easy. I’m not sure I see your point. EBVM should be applied to all potential therapies. The distinction between conventional and alternative therapies is largely ideological and marketing-driven, and it is the proponents of those therapies who want an exemption from the principles and practices of EBVM. 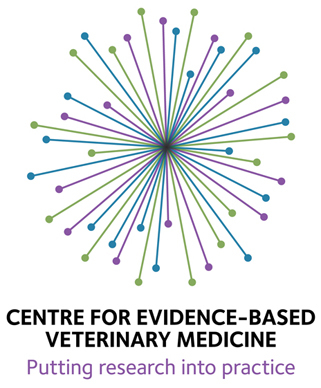 As a member of the leadership for the EBVMA, I have been working towards the rigorous application of EBVM throughout the profession, regardless of the ideological origins of the therapies we are evaluating. But I think you’ll notice that the internet is awash in claims about alternative therapies that are unproven or outright false, and there are virtually no resources apart from this blog challenging these claims, so I think the effort is worthwhile. Can complementary and alternative medicine be evidence-based? 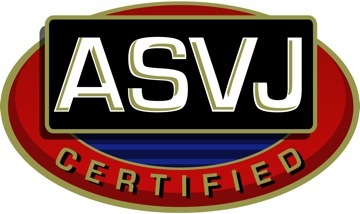 Thanks, the information I have found at this site has helped me be able to find a vet I trust again. Some of the misinformation and bad medical advice given by who knows who on the various internet forums are downright scary. I was oh so scared when an ER doctor (humans) argued in favor of alt med. It also made me wonder how anyone who’s been through medical/Veterinary school can possibly fall into the trap of unsubstantiated medicine. I want to thank you for providing a much appreciated (by some of us!) free resource to keep our animals safe, and to allow us to spend our money where needed, instead of on wasteful alt med.